Durable all-metal construction and exceptional flexibility make this punch a consistent and versatile long-term performer. High-quality, sharp cutting punch heads for clean 9/32" holes. 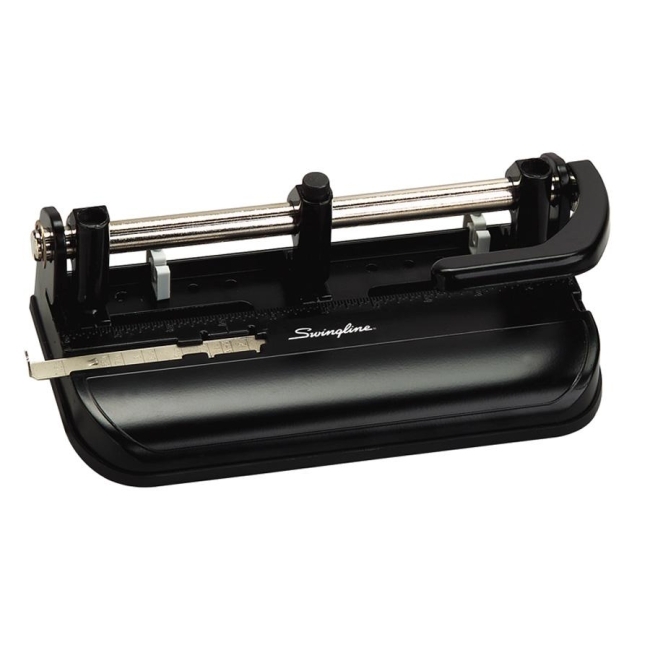 Hole punch will accept 11/32" or 13/32" heads. Seven punch head capacity is totally adjustable for diverse punching applications. Margin adjusts to 3/8". Paper guide adjusts to letter-size and legal-size. Heavy-duty punch offers adjustable centers and punches up to 32 sheets of 20 lb. paper.